Lieutenant-General Guy R. Thibault, CMM, MSC, CD joined the Canadian Forces in 1978 and completed a Bachelor of Science degree in Mathematics and Physics at the Royal Military College. Upon completion of Army Signal Officer training in Kingston, he served in various operational capacities within the Special Service Force in Petawawa as well as 4 Canadian Mechanized Brigade Group, and Canadian Forces Europe in Lahr, West Germany. He has held a wide range of command and staff appointments within the Army, and at National levels including assignments in the National Defence Operations Centre, Communications Security, Signals, Training and Doctrine and various positions within the Defence Information Services Organization and the Information Management Group including command of 79 Communications Regiment providing strategic communications for CF deployments world-wide. He also served as the Executive Assistant to the Vice Chief of the Defence Staff and in 2001 upon promotion to Colonel he led the DND/CF Information Management Strategic Review under the authority of the Associate Deputy Minister. In 2002, he was appointed Commander, Canadian Forces Base Kingston prior to deploying in early 2004 with the NATO-led International Security Assistance Force in Afghanistan. Upon return from ISAF, he attended full time postgraduate studies and completed a Master’s degree of Public Administration (Management) from Dalhousie University. He is a graduate of the Land Forces Command and Staff College, the Canadian Forces Staff College and the National Security Studies Program. 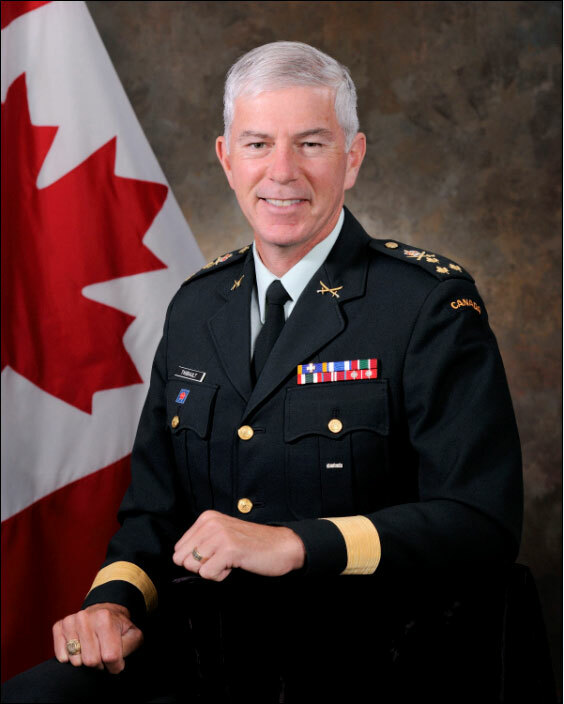 As a General Officer, he has served as Commander Land Force Central Area – Joint Task Force Central Region; Deputy Commander Canadian Army – Assistant Chief of the Land Staff; as well as the Canadian Forces J6 and Chief of Staff for ADM (Information Management). 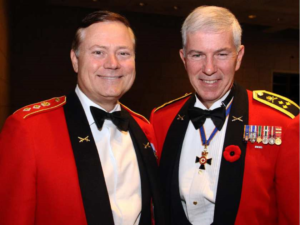 In this latter capacity, he also assumed the role as Branch Leader for the Canadian Forces Communications and Electronics Branch. Upon promotion to Lieutenant-General in 2011, he served as the first Chairman of the Inter-American Defense Board (IADB) in Washington, DC. This international organization is an entity of the Organization of American States and is the oldest regional defense cooperation organization in the world. Lieutenant-General Thibault assumed the duties of Vice Chief of the Defence Staff (VCDS) in September 2013, and as such serves as the second in command of the Canadian Armed Forces, Commander of the VCDS Group and is responsible and accountable to the Chief of the Defence Staff and the Deputy Minister to coordinate and direct activities to ensure departmental defence policy and strategic objectives are achieved. Lieutenant-General Thibault is awarded the Meritorious Service Cross by His Excellency, David Johnston, the Governor General, at a ceremony at Rideau Hall. 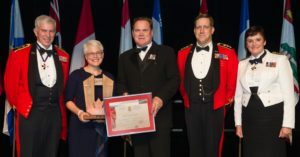 Defence Minister Jason Kenney, Lieutenant-General Guy Thibault, Vice Chief of the Defence Staff, and members of the Canadian Forces Liaison Council honoured Twenty-three business, government and educational institutions from across Canada at the Eleventh Biennial National Employer Support Awards held on 28 May 2015 at the Canadian War Museum in Ottawa. Hon. Col. Blake Goldring with Lt. Gen. Guy Thibault, Vice Chief of the Defence Staff, at a special First World War commemorative evening held at the National Gallery of Canada on Monday, Nov. 10, 2014. 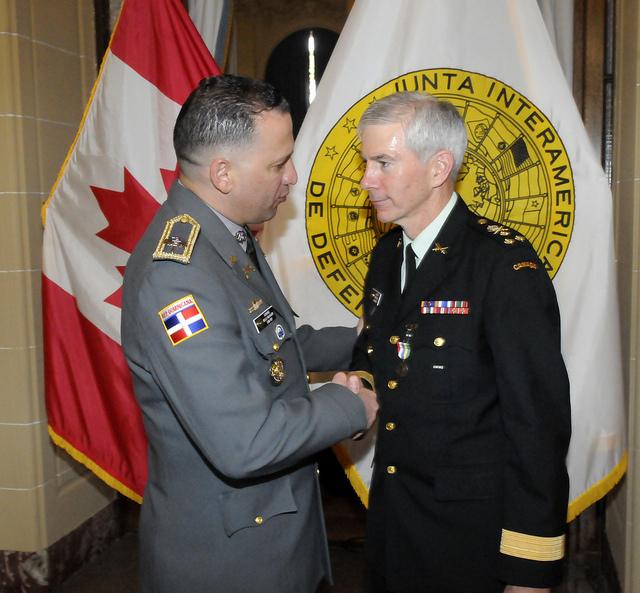 Lieutenant-General Thibault participated as the Chair of the Inter-American Defense Board in Washington DC.